Awards are another measure of our success. At Prestige, we consider the kind words from our clients and professional partners to be the best recognition of all. Still, it’s nice to be honored with industry awards. 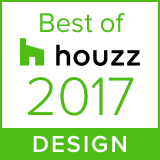 Specifics: portfolio voted most popular by the Houzz.com community. Prestige Honored with 4 BALA Awards!!!! Master Builders Association of King & Snohomish Counties (MBA) Remodeling Excellence Award (REX). Specifics: Whole House Remodel, Washington Park Tudor. Master Builders, Remodeling Excellence Award. Specifics: People’s Choice Award as peer-selected best of show. LUXE Magazine, Battle of the Chefs Best Presentation. Specifics: benefit for Opportunity for Success Scholarship Fund. LUXE Magazine, Barkitecture Best Work of Art. Specifics: benefit for Seattle Humane Society. Guild Quality, Best Backyard-scapes Award. Specifics: nationally-selected for outdoor living space. Specifics: Built Green Merit Certificate, Lake Washington waterfront custom home. Specifics: Built Green Choice Award, Lake Washington waterfront custom home. Specifics: Recognition for Exceptional Leadership of Facilities Committee. Pacific Lutheran University Business School, Best of the Northwest WA Family Business of the Year. Specifics: People’s Choice Award, Best in Show. Northwest Home & Garden Magazine. Seattle Homes & Lifestyles Magazine. Specifics: Top 100 People, Places & Things that Define Seattle Design. Professional Remodeler Magazine, Best of the Best Design Award. Specifics: American Shingle Style whole-house remodel. 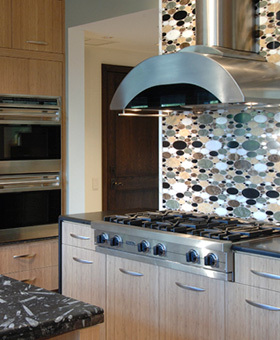 Specifics: Contemporary Condo Kitchen remodel. Specifics: People’s Choice Award, Whole-house renovation and addition. Specifics: Major Remodel over $500,000, American Shingle Style whole-house remodel. Rainier Chamber of Commerce, Legacy of Service Award. Specifics: Outstanding Vision, Leadership and Achievement. Professional Remodeler Magazine, Top 25 Remodeling Companies to Work For. Specifics: based on employee interviews. Specifics: Whole-House Remodel, historic brick Tudor. Specifics: Finished Basement, historic brick Tudor. Specifics: Whole House Remodel, historic brick Tudor. Specifics: Whole House Restoration, Tudor Manor. Marvin Windows & Doors, Yellow Rose Recipient. Specifics: for revitalization of Brighton Apartments for low-income seniors, and leadership & dedication to the Southeast Seattle Senior Foundation. Seattle Homes & Lifestyles Magazine, Home of the Year. Specifics: Whole-House Renovation, Brick Tudor. Specifics: acknowledgement for outstanding effort to provide safe and affordable housing for seniors. Specifics: Open/Detail, Colonial porch addition. Seattle Homes & Lifestyles Magazine, Bath of the Year. Specifics: Traditional master bath remodel. Master Builders, Remodeler of the Millennium. Specifics: finalist for outstanding leadership and professionalism. Specifics: Major Remodel, Colonial whole-house renovation. Master Builders, Marketing and Merchandizing (MAME) Award. Specifics: Open/Detail, Floating home complete rebuild. Rainier Chamber of Commerce, Outstanding Service Award. Master Builders, Marketing and Merchandizing Award. Building Industries Association of Washington (BIAW), Excellence in Remodeling Award. Building Industries, Excellence in Remodeling Award. Master Builders Remodelers Council, First Rampathon Project Chair. Specifics: ramps for disabled low income persons, over 300 built to date. Rebuild Seattle, Christmas in April House Captains. Specifics: organized and supervised volunteers to fix up 8 Central Area homes. MBA Remodelers Council, Good Neighbor Project Chair. Specifics: Led volunteers through intensive two-month home renovation for a low-income senior.